The largest private real estate development in United States history currently has 10 million square feet under construction and 5 million square feet of new office space signed and leased according to Related CEO Jeff Blau. The Hudson Yards development is a 28-acre project with plans for 17 million square feet of commercial and residential real estate space once complete in 2025. In a recent interview on Bloomberg<go>, anchor David Westin questioned Blau if the new commercial space was needed in New York City. Blau cited that more than 50% of New York’s office space is over 60 years old. 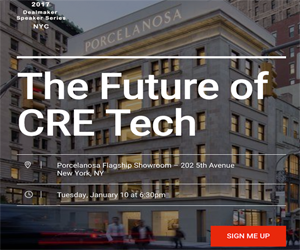 While older office spaces and class B space is useful for attracting new businesses to New York City that can’t afford newer buildings, Blau believes today’s business are looking for technological infrastructure, advanced heating and cooling systems and ability to accommodate growing needs. When complete Hudson Yards will contain 100 shops, restaurants, 14 acres of open public space, a school and more amenities easily accessible for the 4,000 residences. Related Companies, the developer behind the project, estimates 125,000 people a day will work, live, or visit Hudson Yards. “We’ve created that whole live, work, play environment in Hudson Yards,” Blau said. The first tower, 10 Hudson Yards, opened fully leased at the end of May after three-and-a half years of construction. New tenants include Coach, Inc., L’Oreal USA, SAP AG, and Boston Consulting Group. In the interview, Blau noted an additional 2 million square feet of space is under currently under negotiation. The residential sales office will open on September 14, 2016. Related is responsible for development of New York City’s Time Warner Center and MiMa, a mixed-used glass tower. Capital financing for the $20 billion Hudson Yards project is sourced from a variety of funds around the world ranging from sovereign bonds, pension funds, and debt sources. To watch the full Bloomberg interview with Jeff Blau, visit here. Older PostBrokers: what’s really stopping you from selling?